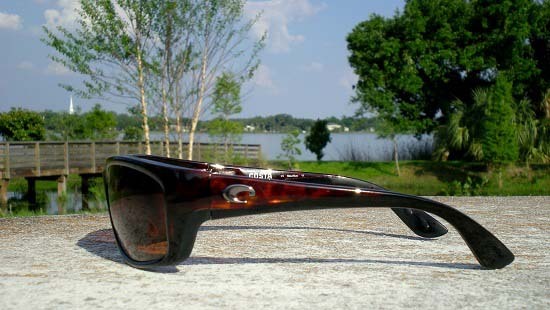 Costa Del Mar continues to roll out new and impressive sunglasses frames that really excel both on and off the water. They have come out with an excellent new frame design, Jose, that incorporates loads of unique Costa Del Mar patented technology. The frame design is named for Captain Jose Wejebe who says, “My work depends on being able to separate fish and targets both in the water and in the air. 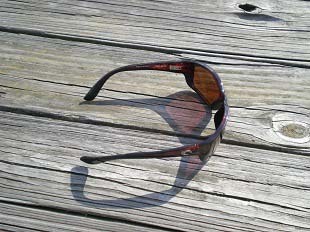 The 580 Copper lenses eliminate glare and enhance color and contrast, letting me see everything so much better. And at the end of the day, my eyes are still fresh, even if the rest of my body is exhausted.” As we found, the Copper lenses are truly outstanding for fishing, however they can also be used for driving and everyday activities due to the high contrast they provide. Costa Del Mar uses the best plastic lenses available that repel oil and dirt, and block yellow light. The lenses are made of poly-carbonate which is cast and hard-coated to make it a very tough piece of plastic that boasts some impact resistance. The impact resistance is said to have been tested with ANSI Z80.3 and Z87.1 high impact velocity testing, however I’m more curious to know if anyone has had any experience with the impact resistance of these in regards to a misplaced paddle or push pole. The optical clarity of the 580P lenses is second to none and they provide 100% polarization and UV protection. The frame is an incredibly lightweight especially when paired with the poly-carbonate lenses. One feature that I like about the Jose frame in particular is that the internal hinges allow the sunglasses arms to widen and provide a looser fit. This makes these frames very comfortable, but it also does make the fit a bit looser. 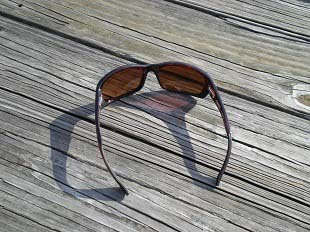 Be sure to invest in a good pair of sunglasses retainers that can fit over the arms. As with all Costa Del Mar Sunglasses, the Jose model is backed by Costa’s Lifetime Warranty. The warranty does not include wear and tear such as normal use, scratched lenses, broken hinges, or accidental damage; however they will repair those types of issues for reasonable charges. What the warranty does cover is manufacturing defects only. The Jose frames are very lightweight and feel like they float on your face because of the hinges incorporated into the design. There is minimal skin contact with these. The frames are incredibly comfortable and provide more than adequate coverage to block out almost all peripheral light coming in from odd angles. 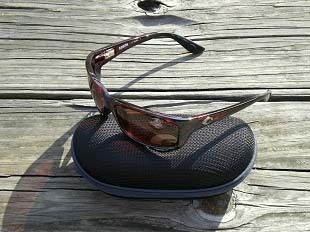 I’ve used these for fishing as well as golfing and I’ve found that Costa lenses really do seem to have much better glare reduction than other polarized fishing glasses. 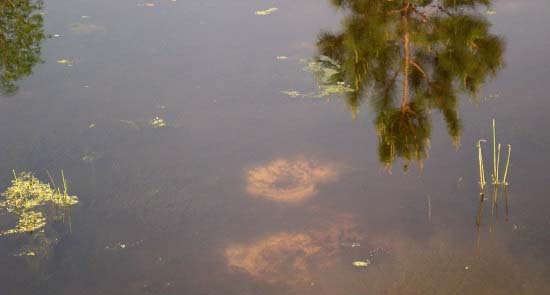 These are especially good for spotting bedding bass during the spawn as it helps the sandy holes stand out against the lake bed. Price. You have to pay for quality. Jose Wejebe is an adventurer in every sense of the word and these frames are designed to match that lifestyle. 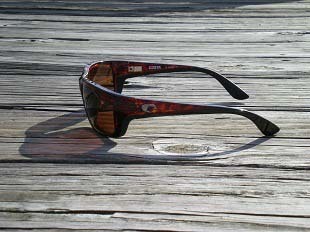 As always, Costa Del Mar provides excellent quality and great fishing sunglasses; built by hand, backed for life.